Description: Round, gold package. Double wrapping. On the front side a goddess and the text: XV OLYMPIALAISET HELSINKI 1952. 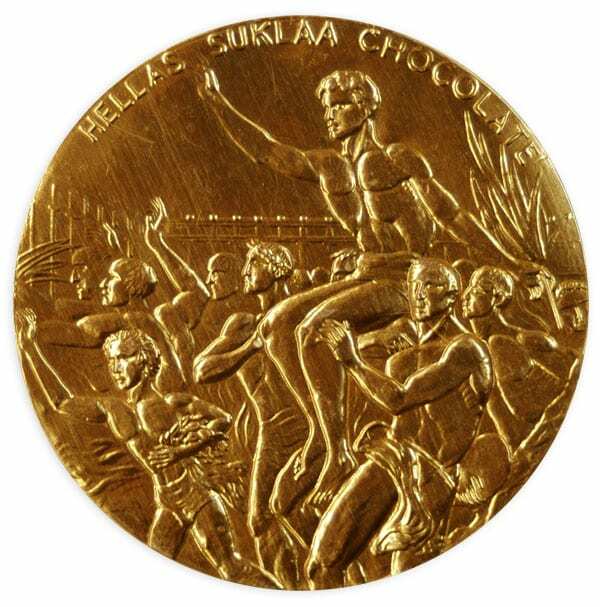 On the back side a young athlete carried by a group of men and the text: HELLAS SUKLAA CHOCOLATE. Other information: The motif of the wrapping is the same as in the Olympic prize medals.